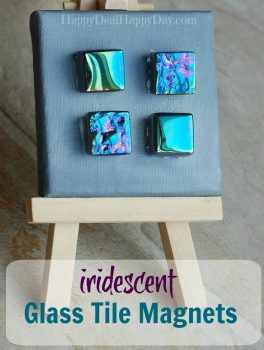 How to Make Iridescent Glass Tile Magnets | Happy Deal - Happy Day! My daughter comes home with so much art work to display on our fridge, and I needed some magnets that could hold up thicker paper like construction paper or card stock. I bought a bunch of glass magnets at Michaels awhile back – and they are barely strong enough to hold up just a normal sheet of paper! So I decided to change that, and make my own stronger magnets. 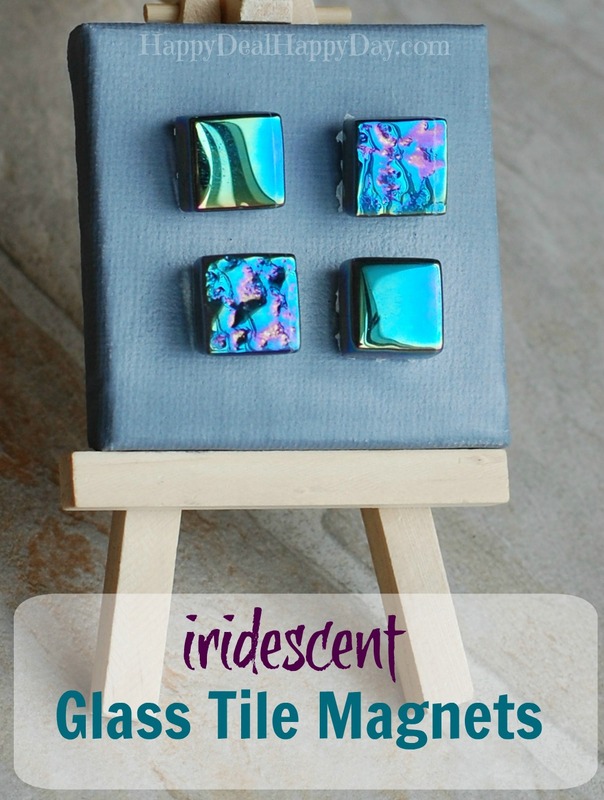 Today I’m going to show you how to make your own iridescent glass tile magnets! These are very easy to make – you simply just put a bit of Liquid Fusion on the back of a glass tile and let it dry for a full 24 hours. And that’s it! This liquid fusion is amazing and will hold that magnet very strongly onto the glass tile. The rare earth magnet is much stronger than a traditional black magnet, so you’ll be able to easily hold card stock thickness paper on your fridge. Now if you like doing DIY projects, then this may be an easy and fun project for you. But if you are like me, you’ll pin this idea for later as a nice “to do someday” but never really get around to making them. If that’s you, I have good news as I have made enough of these magnets to sell! You can find these specific glass tile magnets over in my Handmade Amazon Shop – Magnet Menagerie! 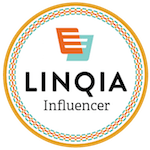 Most of my magnet sets are just $5.75 + Free Shipping – another Happy Deal! I have some cute magnet photo frames in my shop too. Most of my magnets are the perfect addition to hold any picture on these magnetic frames. I also show you how to make the frames yourself over here! ← Wegmans Clearance: BackPacks for Just $3.94! great idea every one love magnets!!!!!!!!!!! !